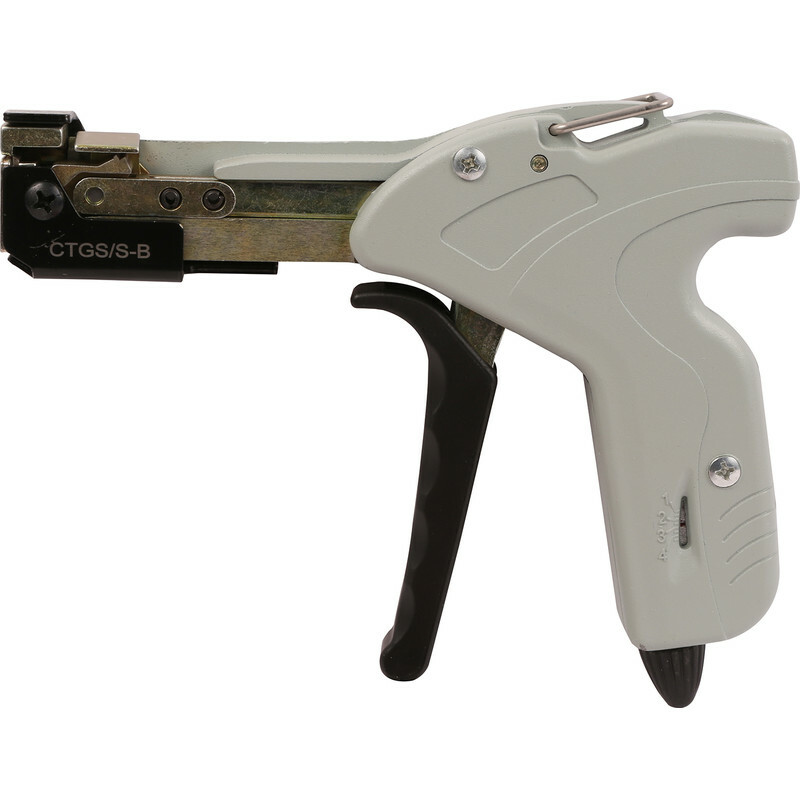 Stainless Steel Cable Tie Gun is rated 4.0 out of 5 by 1. Rated 4 out of 5 by A Worker from Works good. The tension button works good, enabling the ties to secure cables without damaging the outer insulation. 18th Edition and fire. The gun then also cuts the waste off neatly leaving very little sharp edges. The gun lives in my tool box.